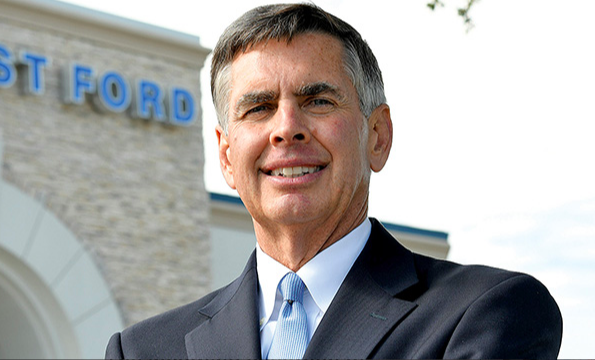 President of Gilchrest Automotive, Charlie Gilchrist, has franchises including Ram, Nissan, Ford, Volkswagen, Buick, GMC, Chevrolet, Jeep, Dodge, and Chrysler all in the DFW area of Texas. His obvious success quickly reminded everyone in the Moscone Center that being a franchise owner is the best way in the world to distribute vehicles. However, he also discussed some of the major challenges dealerships of all sizes are familiar with and will have to prepare for down the line. Beyond that, according to NADA News, Gilchrist urged the entire auto industry to unite together to help tackle the issue of technician shortages in the retail sector by supporting the NADA Foundation Workforce Initiative. With the shortage of technicians and the many challenges ahead for dealerships in 2019, software companies are working hard to help manage and automate the workflow of dealership operations. Among the leading products is ReconMonitor, a state of the art workflow automation software for auto recon, dealerships, and auto remarketing companies. ReconMonitor dealership software decreases reconditioning cycle time and increases your dealership’s operational control and profitability. When companies get their reconditioning working well, good things happen. Read the full story in Auto Remarketing here. Continuing our series of articles focusing on the “year of growth”, today we are turning our attention to sales tips. All businesses need sales in order to survive and grow. 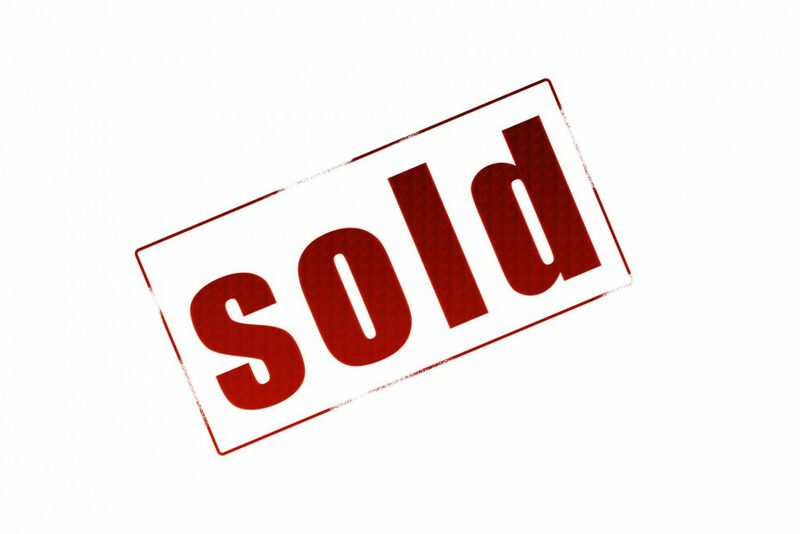 Many rightly consider sales the foundation of a company. The truth is, some are born salespeople and some are not. Sometimes even the most seasoned sales pro could use some fresh sales tips now and again (we’ve found that the most successful salespeople are also the most active seekers of new ideas and methods). Our salesmanship tips presented below are geared towards helping you increase customers or land a new shop or two, depending on your specific business needs. These range from basic sales tips to learning how to find and secure new account leads, standing out from competitors, and maintaining existing clients. One of the best tools mobile repair professionals have in their arsenal is an intimate knowledge of the services they are offering to current and prospective clients. They know what sets them apart from others trying to sell in the same industry. Having this subject matter expertise provides a level of credibility dealerships are looking for when being presented with new opportunities. When a customer realizes you know what you are talking about, it builds a level of trust. They can then put faith in the idea that everyone in your company knows what they are talking about. Look for opportunities to demonstrate your expertise. For the dealership or body shop prospects, consider sending a monthly or quarterly newsletter with information from your industry that could impact their industry. Another effective tactic is to offer a “lunch and learn” where you head out to a prospect’s shop, bring a few pizza’s and do a live demo during lunch. These are minimally invasive to a shop’s day and few people will turn down the opportunity for a free slice of pizza. One of the biggest objections salespeople will hear on a call is with a prospect who is happy with a competitor. What can you do in this case? Sometimes, it can be impossible to overcome this. Effective salespeople can still benefit in this situation where lesser folks would just take the “no” and move on. Learn what the prospect likes most about the competitor. What are they providing that makes the prospect loyal? This kind of inquiry can improve the way you sell your own services, and sometimes even expose areas where your prospect might be underserved. Sometimes perseverance pays off. You never know when you might catch your prospect having an issue with your competitor and you reach them at just the right time. Sometimes it can help to offer a service, or multiple services, for free as a test run. This allows prospective clients to see what they can get that is perhaps different from what they currently have with someone else. In some instances, it might be worthwhile to try to hire the technician away from your competitor onto your team in order to get and keep that new business. Mobile repair pros have an opportunity to be better than competitors at selling services if they can offer a wider range. For example, if the primary service a mobile technician is hired for is paintless dent repair, but you have technicians who can also perform wheel repair or paint touch-ups, consider offering package deals. When you can offer a bundle of services, dealerships will be more inclined to hire your business. They do not want to search for different people who do different things with different companies; one vendor who can do it all is more appealing and cost-effective. One of the best qualities a mobile repair salesman can have is great ears. It can be difficult approaching a dealership not knowing what their exact needs might be, but never assume what they do or do not need. Mobile repair professionals need to make themselves available to dealerships in any way they can. When a dealership calls asking for help, a technician should always be sent as soon as possible. While it may feel good to ignore a call from a dealership that initially turned business away, being there in a time of need will only set your business apart from competitors. If a technician can show up and fix a damaged wheel to help close a sale, your business will be represented as reliable and efficient. According to HubSpot, 60 percent of people find a generic sales pitch irritating. However, telling a story draws prospects in with memorable accounts of similar clients you’ve helped. Humans have a unique ability to empathize with stories they hear about other people. That is why storytelling is so powerful, especially when it comes to landing a sale. During a pitch, a mobile repairer pushing PDR can throw out a plethora of statistics about their success rate. But at the end of the day, 63 percent of people recall stories because of similarities the characters share with their needs and wants. Craft your pitch to include a mini case study about your prior work. Describe how the services you provided to a client ultimately led to their success – higher sale price, faster turn-around, disaster avoidance, etc. Whether you are new to being a mobile repair tech or have been working at it for years, it can be difficult to find more work once you have established yourself with one primary dealership. But don’t be afraid to take on more responsibility. Chances are, if a mobile repair technician has been asked back to the same dealership multiple times because of their skills, that same dealership won’t mind referring them to the shop down the block. Never be afraid to ask for help; knowing your worth and demonstrating confidence in your trade will only help you outperform other mobile repair technicians fighting for the same opportunities. Personalization – Always reference the specific problem plaguing the dealership in need and provide the correct solution. Deliver – If you’re promising the best paintless dent repair in the city, you better deliver the best paintless repair in the city. Stay up-to-date on industry trends and research new ways of upgrading a service. Be timely – Always be on time. First impressions are everything, but lasting impressions are made over time. Always answer repair calls as quickly as possible. Be Human – Go ahead and wish someone a happy holiday or a nice weekend. Also, commend the customer on their current successes; the more you can connect on a deeper level, the better. Customer Service – Start small and work on building great customer service. Call clients once a week to follow up, ask about work, and see how you can improve. 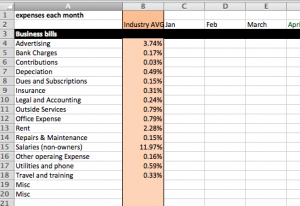 Focusing on the quality of your accounts is better than scrambling to service multiple accounts. Stay Casual – At the end of the day, a mobile repair provider is having a conversation with a client, so use natural verbal and body language. Being yourself will allow you to connect with your client as a person. Of course, we would be remiss if we didn’t mention how a software such as AMT’s Repair 360 and ReconPro can help you streamline your operations and make the transaction quicker and easier for your customers. This can be used as a sales tool for your business and you can demonstrate how quickly you can go from estimate to approval, then from repair to invoice. If you can make the case that using your services will be easy and streamlined, it can be a major competitive advantage. The sales journey for mobile repair professionals doesn’t have to be rough. The best way for these technicians to help the company sell any type of product is simple – be honest. Stay up-to-date on all updates to reconditioning software and industry news to be able to confidently talk about them with clients. Know what your competitors are doing and work with your audience to find out ways to be better. Form lasting connections with dealerships and auto shops that focus on the needs of the clients, not selling the capabilities of your business. Relationships built through natural connections are a surefire way for mobile repairers to become the salespeople they never knew they could be. ReconMonitor’s certified integration helps dealerships seamlessly manage reconditioning workflows. NEWPORT BEACH, Calif., May 15, 2018 /PRNewswire/ — AutoMobile Technologies, Inc., the industry leader in auto reconditioning software, today announced that it has partnered with Frazer Computing, Inc. to provide integrated vehicle reconditioning management capabilities to users of Frazer Dealer Management Software. 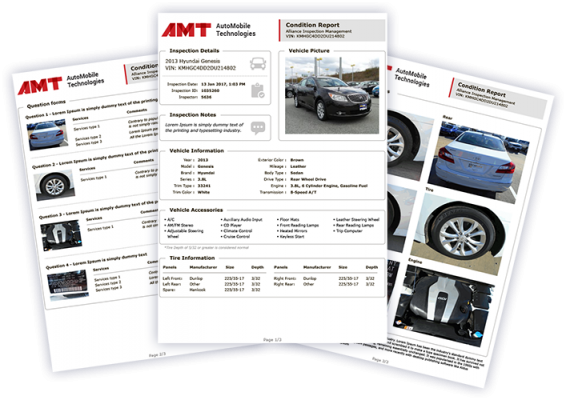 AMT’s ReconMonitor provides end-to-end visibility of the vehicle reconditioning process from acquisition through all phases of the recon process and helps identify, process, or vendor inefficiencies that increase cycle time. The software includes both mobile and back-office modules to ensure everyone in the reconditioning cycle is informed about where and when work is required. This keeps cars moving at optimal speed and results in fewer days to frontline status. Mechanical and Cosmetic Inspections – Multiple inspections per vehicle, including OEM Certified Pre-Owned Inspections, Cosmetic Inspections, and Vehicle Condition Reports. Parts and Labor Hours Management – The system provides access to OEM parts & numbers, mechanical labor hours, and parts ordering. Vehicle ROI – Know the estimated and actual cost of repairs and keep all vehicles in your targeted ROI. Vendor Management and Payment – The system manages all of your vendors and their workloads and shows you how much to pay each vendor per repair. Real-time Reporting – You and your team know the status and stage of every vehicle in process, and can quickly identify bottlenecks. AutoMobile Technologies joins a diverse group of Frazer integration partners. To date, Frazer works with more than 200 third-party vendors whose services are optimized and integrated with the Frazer DMS. For more information, please visit https://amt.company/dealership-software-and-operations. Since 2006, AMT has been building software applications to help companies in the automotive industry replace paperwork, enforce processes, and gain instant visibility to business operations, regardless of team size and geographic distribution. Our mission is to distribute easy to use, affordable solutions to help dealerships, PDR and SMART Repair technicians, detailers, and reconditioning companies improve customer service, make more money, and eliminate back-office inefficiencies. 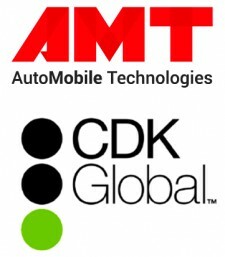 Ted Gaines, AutoMobile Technologies, Inc.
NEWPORT BEACH, Calif., May 9, 2018 (Newswire.com) – AutoMobile Technologies, Inc., an industry leader in automotive reconditioning software, today announced that it has become a participant in the CDK Global Partner Program. As a member of the largest third-party partner program in the industry, AutoMobile Technologies is now part of a marketplace of applications and integration choices developed to help automotive dealers succeed. The CDK Global Partner Program provides its partners with the ability to integrate with a range of CDK applications, as well as with CDK dealer websites. AMT’s ReconMonitor software provides end-to-end visibility from vehicle acquisition through the reconditioning process and helps identify vendor inefficiencies that increase the cycle time. The software includes both mobile and back-office modules to help ensure everyone in the reconditioning cycle is informed about where and when work is required. This software keeps cars moving with optimal speed and results. The approved integration of AMT’s ReconMonitor solution with the CDK Drive DMS will allow customers to better command and control the reconditioning process with full visibility of each vehicle as it moves through to frontline readiness. Other notable features include mechanical and cosmetic inspections, parts and labor-hours management, vehicle ROI, vendor management and payment, and real-time reporting. Additional details about these features can be found at link. The CDK Partner Program now numbers more than 360 partner companies and 475 unique applications auto dealers can use to run their businesses. As part of the CDK ecosystem, the CDK Partner Program provides data and workflow integration to a wide range of third parties, OEMs, and dealers. For a full list of partners and applications available through the program, visit cdkglobal.com/partners. Since 2006, AMT has been building software applications to help companies in the automotive industry replace paperwork, enforce processes, and gain instant visibility to business operations, regardless of team size and geographic distribution. Our mission is to distribute easy-to-use, affordable solutions to help dealerships, PDR and SMART Repair technicians, detailers, and reconditioning companies improve customer service, make more money, and eliminate back-office inefficiencies. How prepared was your dealership for 2017’s roller-coaster ride of new and used car sales? If you are like many dealerships, you weren’t prepared for the unusual hurricane-induced car buying demand spike in the Fall that usually happens after tax refund time in the Spring. It’s a dealership’s worst nightmare to be caught during a spike in sales demand at a time of low inventory, and then be forced to sit back and watch as potential customers head over to your competition. Then, as you scramble to purchase inventory and get it frontline ready, you can almost watch the revenue slip past your balance sheet. Will you get the cars cycled out before the demand is gone? 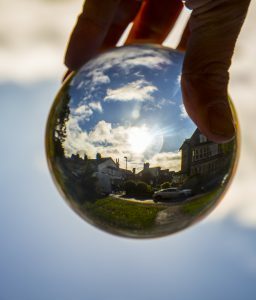 Oh, to have a reliable crystal ball during auction time! Actually, if you know where to look, there already is one. Auto Industry forecasters are expecting lower price volatility than 2017’s record highs and unusual fall spike. These same prognosticators also predict higher volumes of used vehicle sales in 2018. The crystal balls reveal that a more desirable mix of late-model vehicles entering the marketplace and higher take-home pay as the new federal tax law is implemented, will heat up the used car market, so you might want to prepare yourselves now and reap the rewards when the buyers start coming. From almost the minute the new tax law was passed, large corporations began announcing bonuses and pay raises for American households. Cox Automotive Chief Economist, Jonathan Smoke, revised his forecast of 2018 total used-vehicle sales to nearly $40 million. At a recent conference call with investment analysts and reporters, Cox stated that they estimate 85% of US households will see an income increase as a result of the new tax laws. Cox also anticipates a 2 to 4 percent decline in 2018 U.S. new light-vehicle sales to fewer than 17 million units. By now, all the Harvey and Irma hurricane victims have replaced their cars, so that spike in new and used car sales as replacement vehicles ended in December of 2017. Still, experts believe that the U.S. economy will continue its strong demand for new and used vehicles in 2018 due to a low unemployment rate, strong financial markets and consumer confidence, and incentive offers from automakers. Where will the used inventory come from? It has been predicted that 2018 will be a slowdown in the increasing numbers of late-model vehicles entering the used market, with 2018 lease returns growing only 8.1 percent to 292,000 units. And most of the growth is in pickups and SUVs, which are more in demand, so grounding dealers will retain more off-lease vehicles themselves. Expect to see lower rental car-fleet vehicle returns, fewer coupes and hatchbacks, will fall this year, But there will be an increase in pickups, SUV’s and crossovers. How to stay ahead of the demand. Following the economic downturn started in 2008, car buyers’ desires for new vehicles leaned heavier towards cars than trucks. This caused a mismatch in the used market as consumers started leaning back towards trucks and SUV’s during the upswing. But in 2018, half of off-lease vehicles are expected to be light trucks. Cut your frontline cycle times. Now is the time to focus on the operations and look for ways to eliminate bottlenecks and unnecessary snarls. The focus on fast and efficient reconditioning becomes even more important to maintaining margins on new car inventories as used car demand puts pressure on new car pricing. A small investment in a recon software such as ReconMonitor can mean the difference between profit and loss during a squeeze like the one being predicted now. As a used car dealer, the decision to pursue CPO designation for select vehicles can be advantageous, making initial inspections even more crucial. Again, any investment in automation can pay for itself. 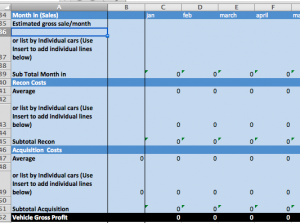 When used car demand is high, each day lost in the recon stage is money wasted. Consider streamlining the intake phase with an investment in inspection software such as InspectionNotes from Automobile Technologies. Why waste time entering and transcribing vehicle details and management of recon needs on paper, when a single mobile recon app can eliminate hours of work? 2018 may not be as bumpy a ride as last year, but it’s sure to have surprises of its own. Staying attentive to the market is as close as we’ll get to that crystal ball, and maintaining an efficient operation will keep your dealership rolling smoothly.